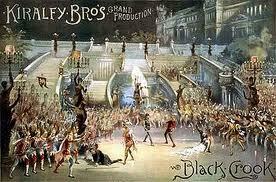 Musicals began to emerge as modern Western theatre in the 19th century. They’re commonly shows that integrate a story with music, range from 30 minutes to three hours and are presented in two acts. They differ from opera by being sung in the audience’s native language and generally incorporating acting, dancing and singing equally. In opera singing is the priority, operas generally employ singers not actors. 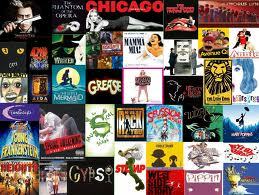 Musicals originated in ancient Greece where music and dance were included in light comedies and tragedies. The Romans continued this tradition, also introducing a form of tap shoe to make their dance steps more audible in auditoriums. By the Middle Ages musicals mostly consisted of travelling minstrels and performing troupes offering singing, slapstick comedy and musical morality plays of which little is known. In the Renaissance period musicals evolved into Commedia dell’Arte, Italian masked theatre based on sketches. Court masques involving music, dancing and singing were introduced in the Tudor period, and William Shakespeare and Ben Johnson both wrote plays which included masque-like sections. Musical opera evolved from masques which was very popular until the death of Charles 11 in 1685. 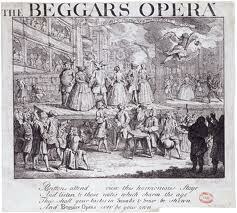 Comic operas and ballad operas, like John Gay’s The Beggar’s Opera (1728) became popular in the 18th century. Ballad operas typically contained spoof lyrics which were written to popular tunes. Comic operas, like Michael Balfe’s The Bohemian Girl (1845) were happy and original musicals, normally with romantic overtones. Music halls, melodrama, burlesque, vaudeville and operette also developed during the 18th century. One of the earliest British music halls, Weston’s music hall, evolved from operette. Music halls were incredibly popular during the industrial revolution and both Stan Laurel and Charlie Chaplin began their careers there. Operette was introduced by the French composer Herve in 1850. The most significant composer of operette was Jacques Offenbach, Gilbert and Sullivan’s musical theatre, can be traced back to him. Gilbert and Sullivan were the first authors in Britain to write musical stage works (1871 to 1896). They combined humour, acting and music and were similar to the musicals we love today. Gilbert wrote the words and Sullivan wrote complimentary music. Pirates of Penzance (1879) and HMS Pinafore (1878) are two of their more famous works. Meanwhile, in America, Edward Harrigan and Tony Hart were doing their bit towards the evolution of modern musicals. Harrigan and Hart collaborated just after Harrigan’s first stage performance in 1867. They acted and David Braham, a London born musical theatre composer, wrote the corresponding music. Their plays were Vaudeville sketches of lower class workers which audiences, typically lower and middle class citizens, could relate to and loved. Vaudeville sketches, performances consisting of several unrelated acts such as comics, singers and acrobats were different from variety shows, also popular in the period, because they were aimed at families. Variety shows tended to consist of chorus girls, dancers and comics. Minstrel shows were also introduced around this time. These now carry some racial stigma because white and black actors performed with black faces nevertheless, at the time, they were popular. Broadway as we know it was introduced in 1866 with the show, The Black Crook, a production put on William Wheatley for, at the time, the unheard of amount of $25,000. In the 1900’s George M. Cohan, an American entertainer known before WW1 as “the man who owned Broadway” and Victor Herbert, an Irish born cellist and composer, gave musicals the distinctive style that we know today. Musicals evolved steadily throughout this period and the twentieth century. Rodgers and Hammerstein’s famous musical Showboat premiered in 1927 and Oklahoma! in 1943. In the 1950s, iconic musicals such as The King and I (1951), Bernstein and Sondheim’s West Side Story(1957) and My Fair Lady (1956) entered Broadway. Concept musicals emerged in the 1960s, they are typically musicals which put significance on the statement rather than the narrative. Cabaret (1966) is thought to be a concept musical. 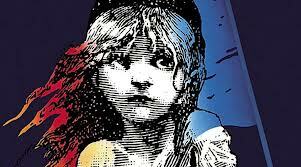 However, by the 1980s the big staged musicals were becoming more fashionable and French musical Les Miserables (1985), Miss Saigon (1989) and Andrew Lloyd Webber’s Phantom of the Opera (1986) were introduced. 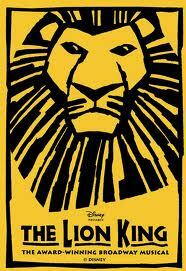 At present big Broadway musicals seem to be growing in popularity with the Lion King (1997), Wicked (2003), Billy Elliot (2005) being highly successful favourites.